With Star Trek Online coming to console this fall, we're adding in a host of new lighting technologies significantly improving the visual quality of the game. Our deferred lighting, light probes, and improvements to our High Dynamic Range system help provide a more realistic lighting. With these new changes coming, every week we will post a before and after shot showcasing an area of the game so that you can see the progress that the team is making in updating the game’s graphics and lighting. 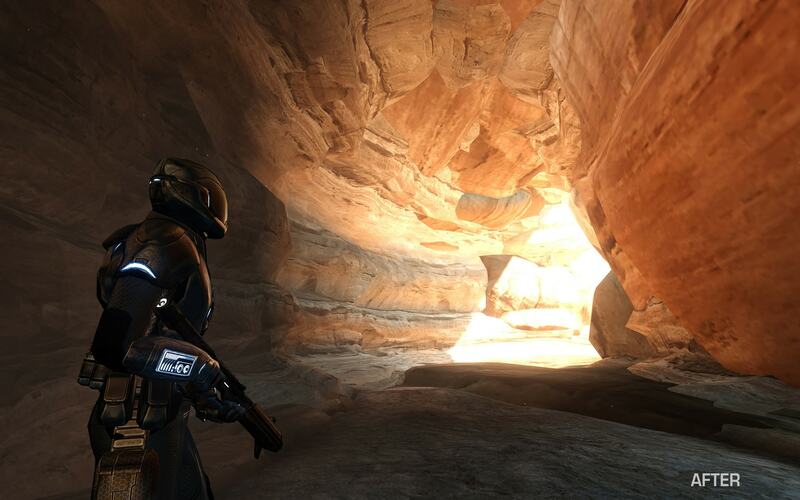 Diffuse probes bounce the exterior sunlight deep into the caves on Nimbus III. 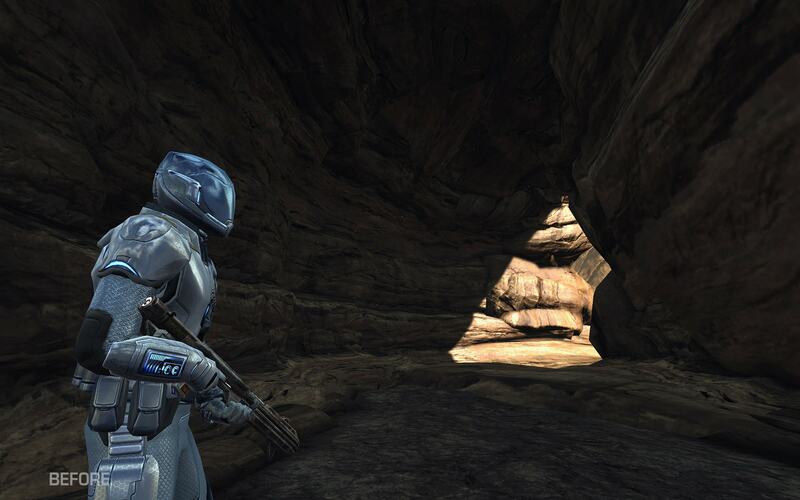 Notice how the player’s suit accurately reflects his surroundings courtesy of specular probes.